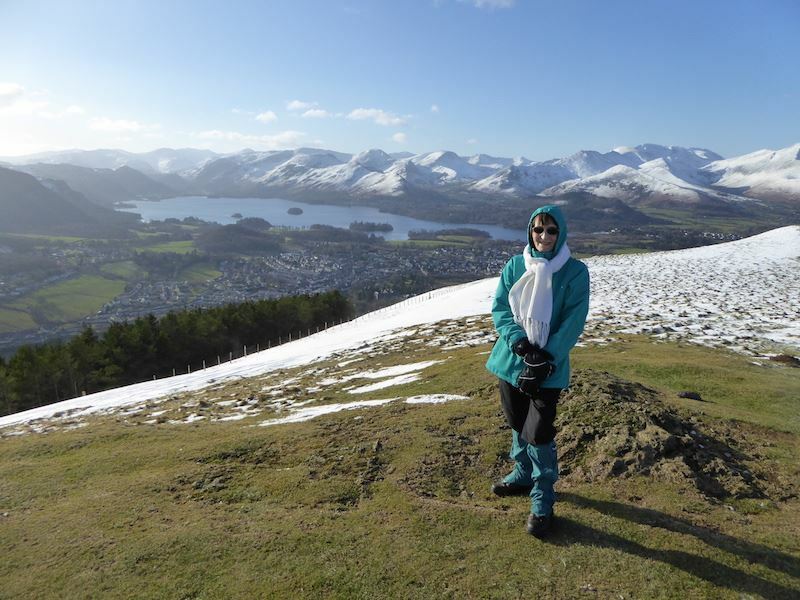 Another very cold but sunny day was forecast but as I’m still not back to fitness we opted for a short walk up Latrigg starting from Spooney Green Lane in Keswick. 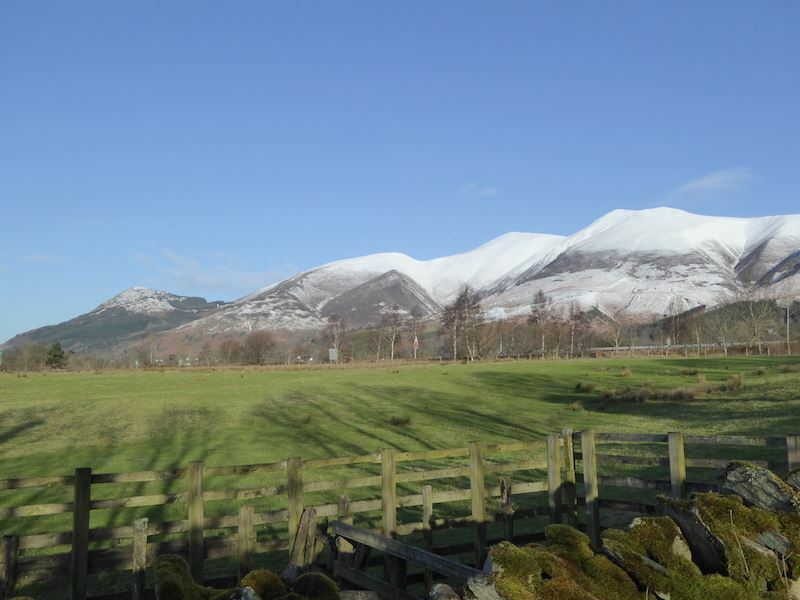 This is a view of Skiddaw from Brundholme Road. 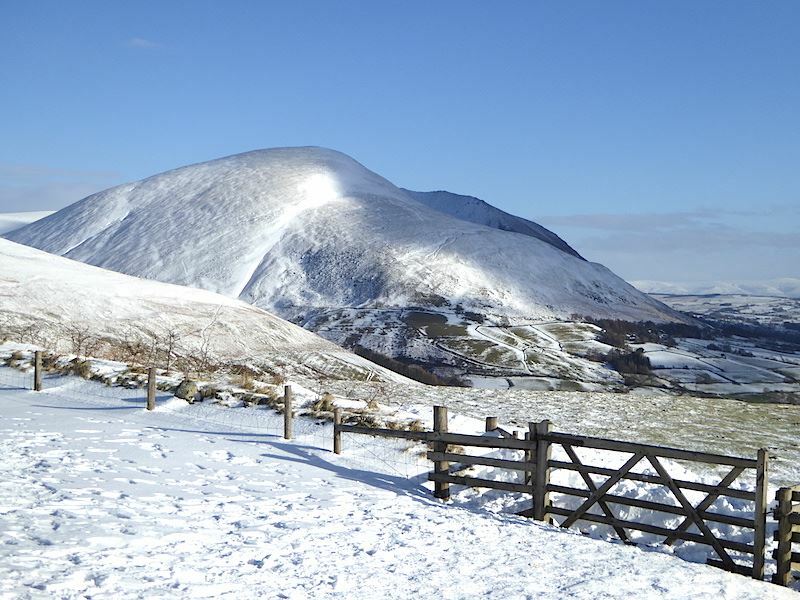 Latrigg above us as we walk along Spooney Green Lane. 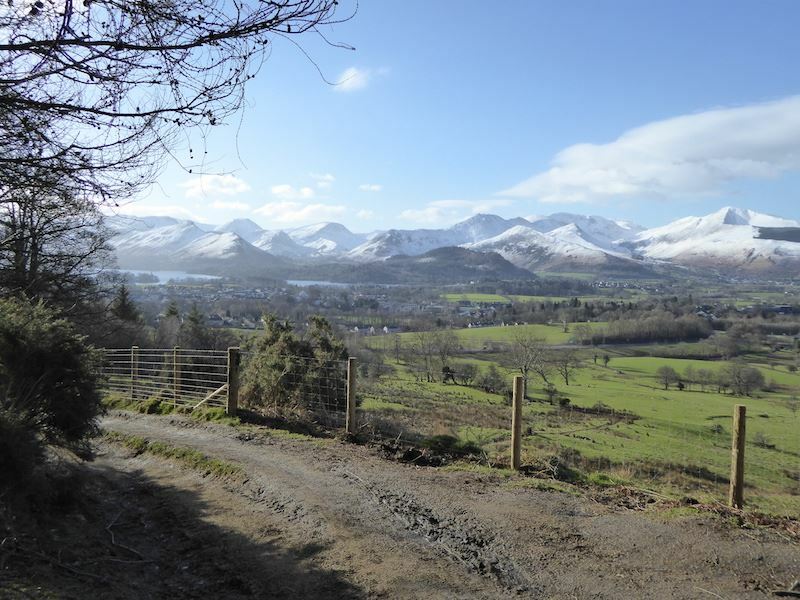 Dodd on the left and the Skiddaw range from Spooney Green Lane. 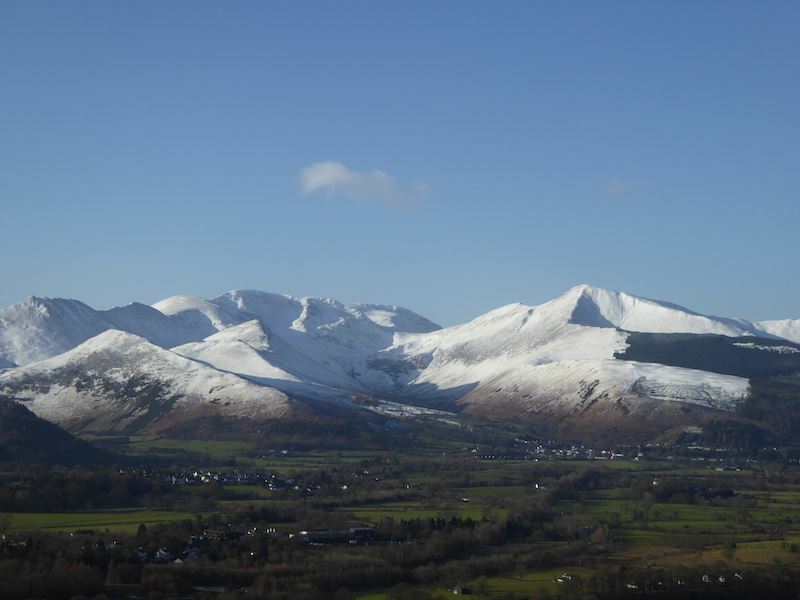 Grisedale Pike looking impressive in its winter coat. 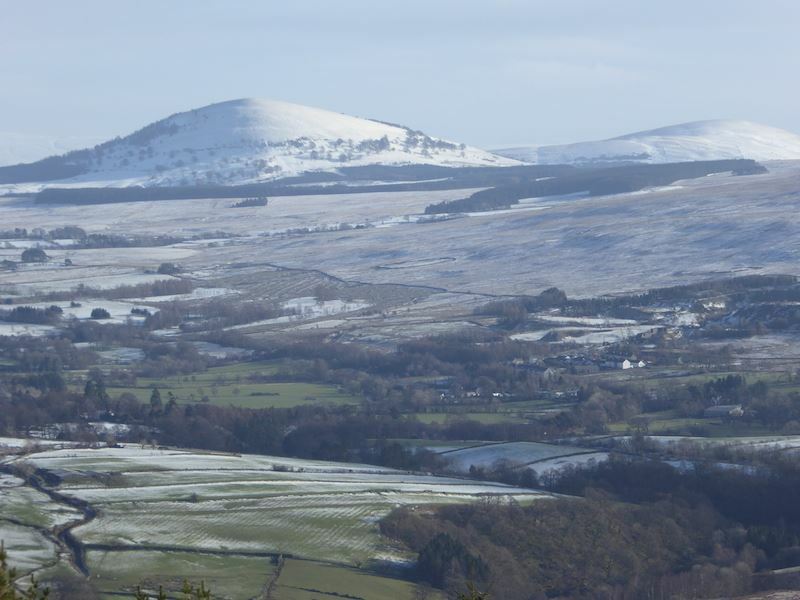 A close up of Barf, in the centre, with Lord’s Seat to the left of it. 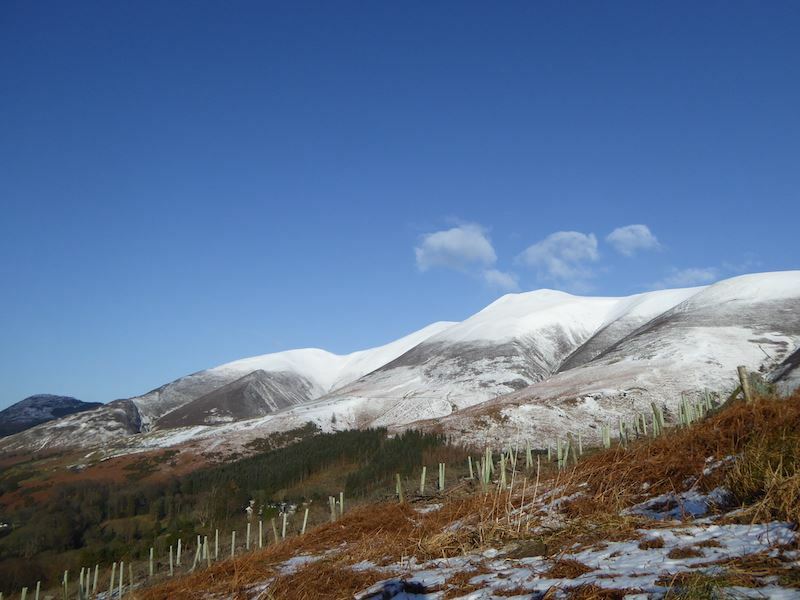 Another look over to Skiddaw as we continue up the path. 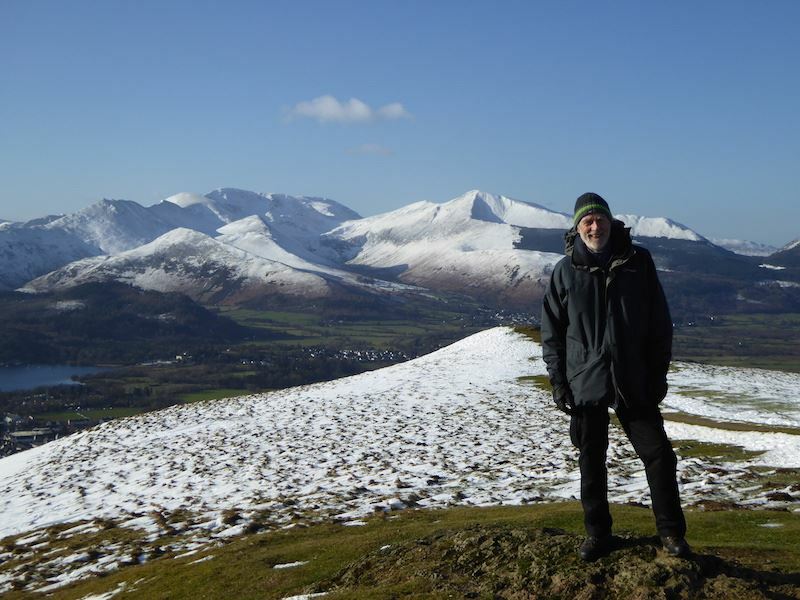 Causey Pike on the far left of the skyline, Grisedale Pike to the right and a fistful of fells in between. 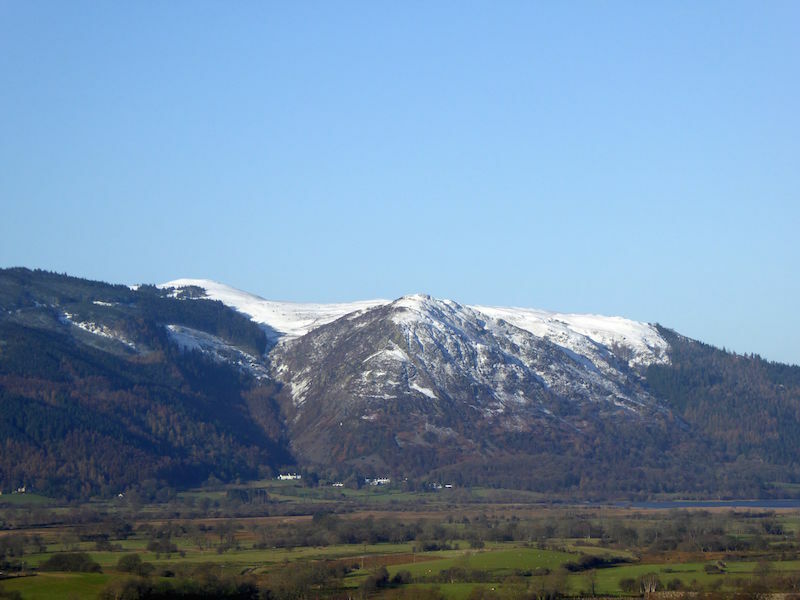 Its looking fabulous across there but at present I just wouldn’t be able to get up there. 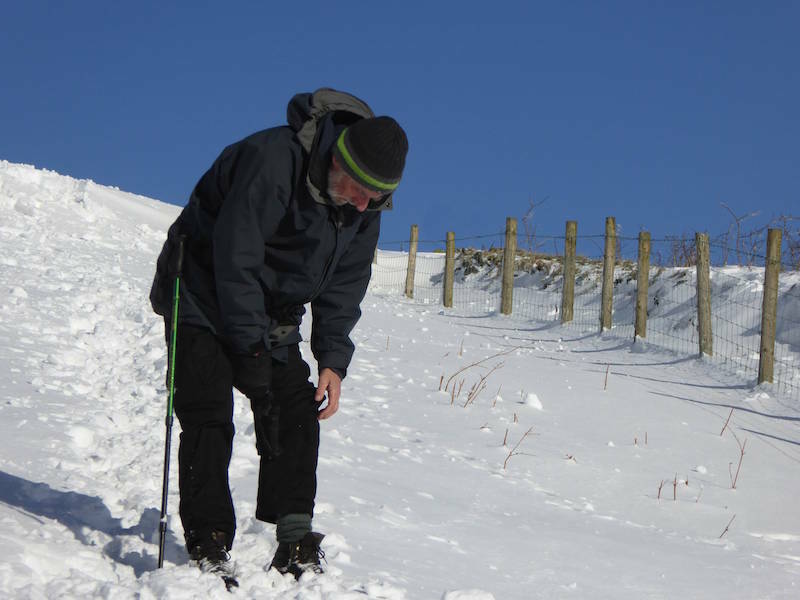 Its taking a lot of effort just getting myself up little Latrigg. Damn this virus thing! 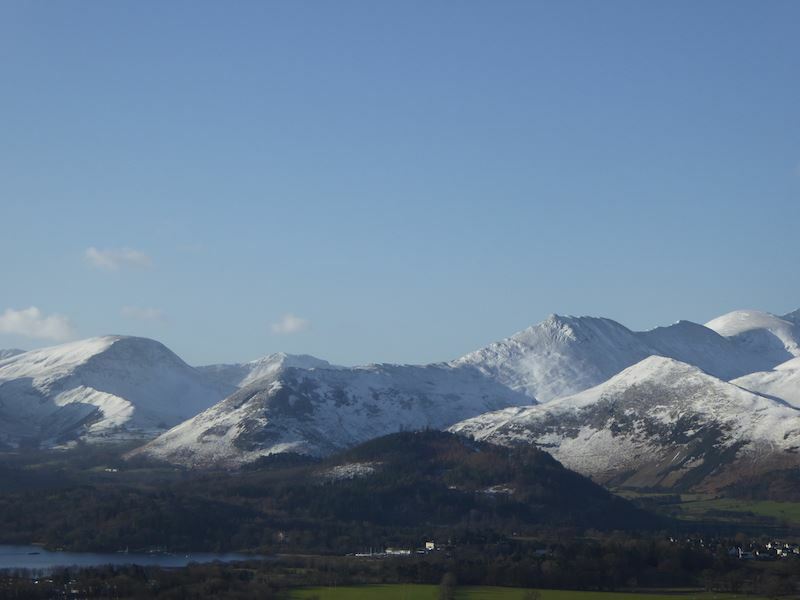 The north western fells looking grand in the sun and the snow. 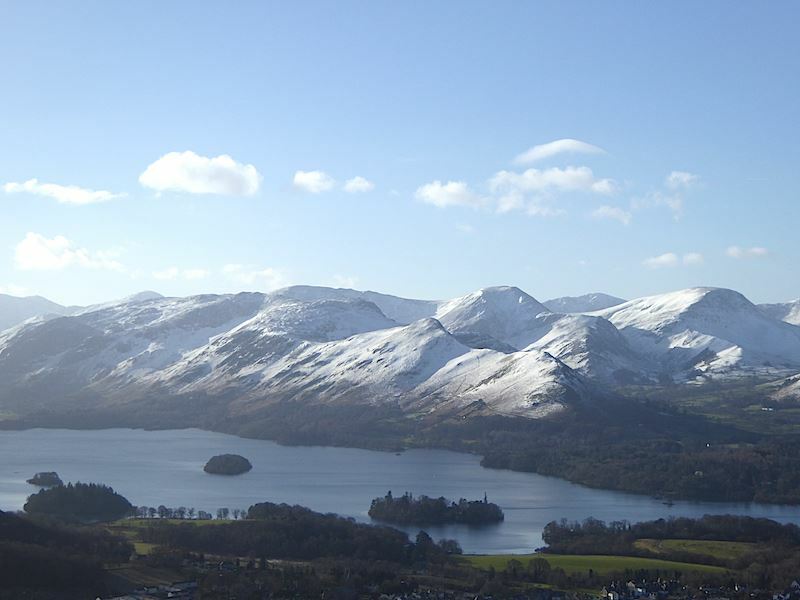 A close up of some of the fells around Derwentwater. 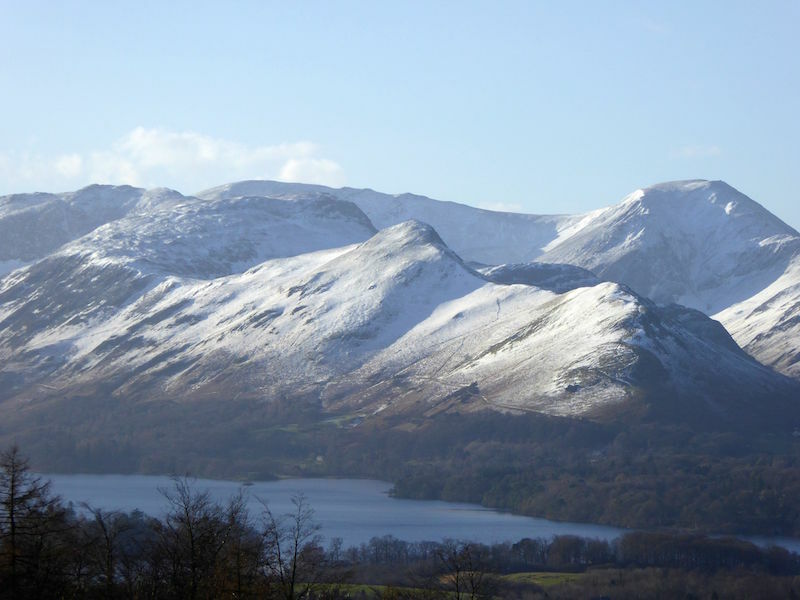 Catbells is in the centre, Maiden Moor to the left behind it and Hindscarth over on the right. 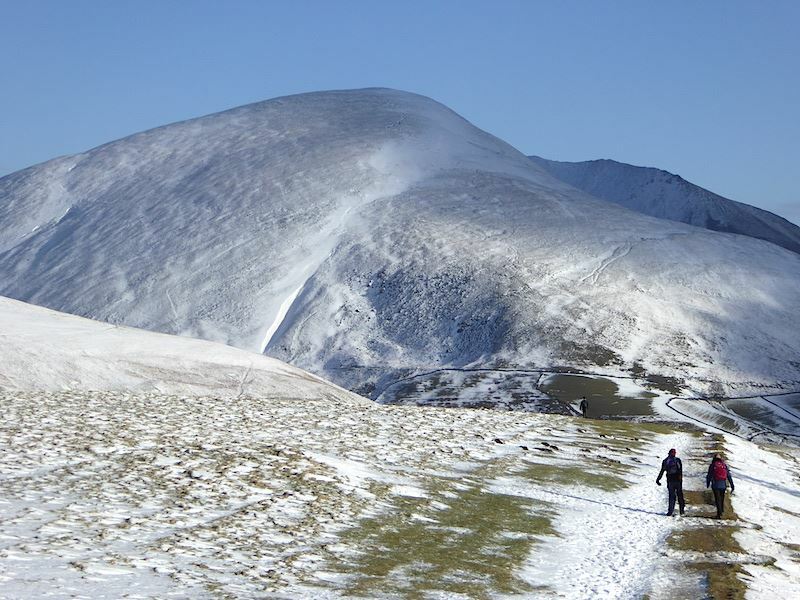 Skiddaw from the start of the zig-zag path to Latrigg summit. 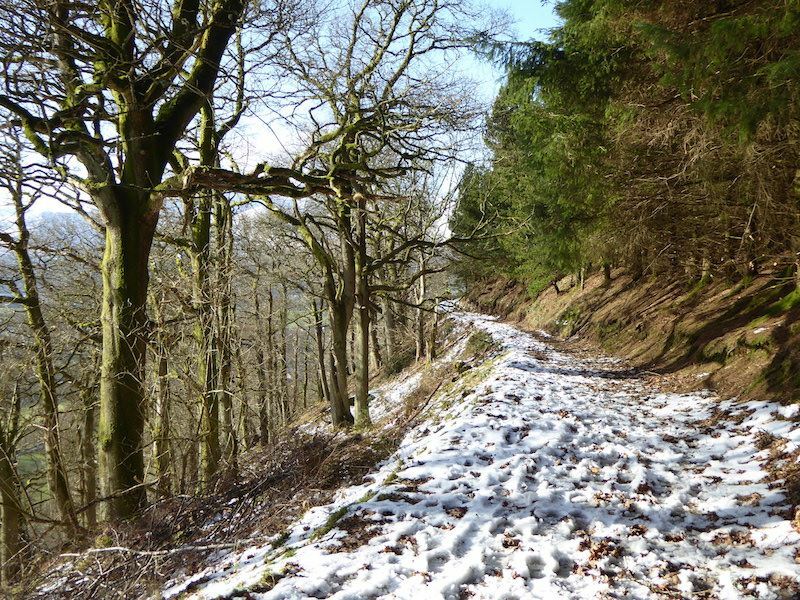 The path was very compacted and icy all the way up and we were now in the shade until we reached the top so this was a really chilly section of the walk. 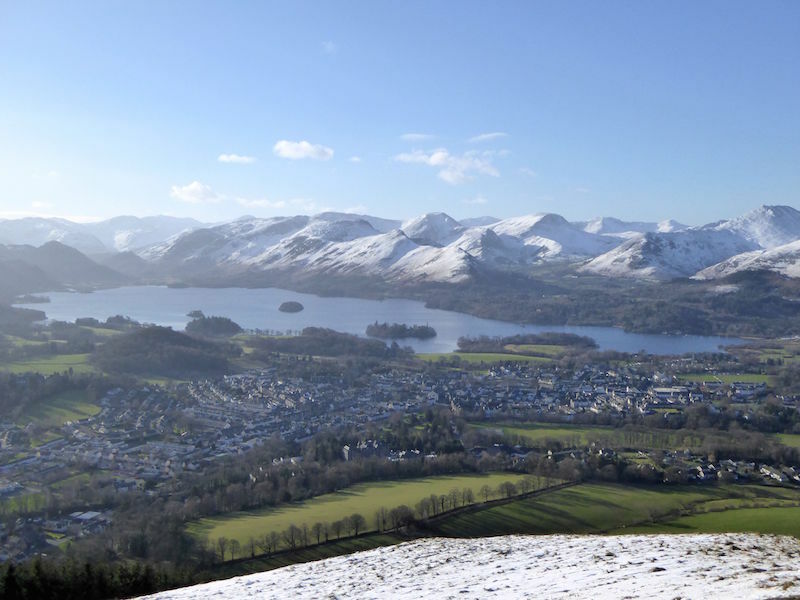 From the top of Latrigg a view of Keswick, Derwentwater and the north western fells. 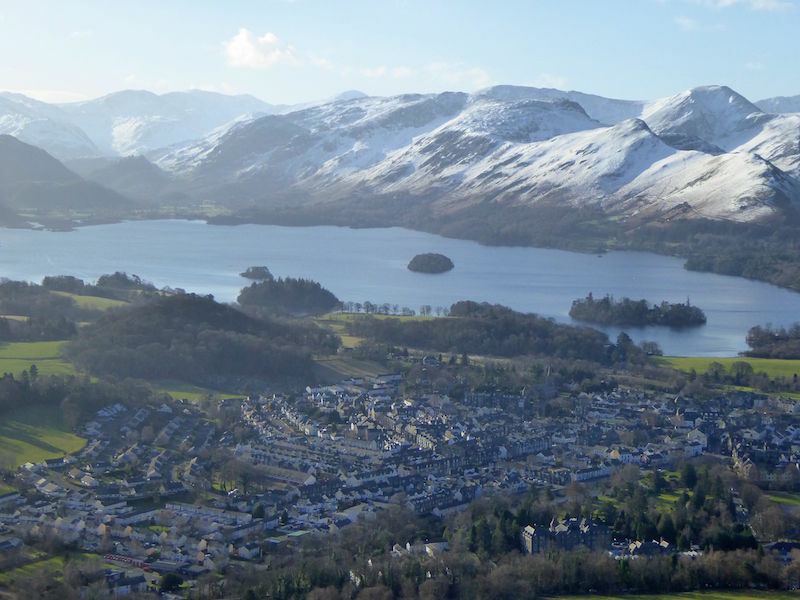 A close up of Keswick and Derwentwater. 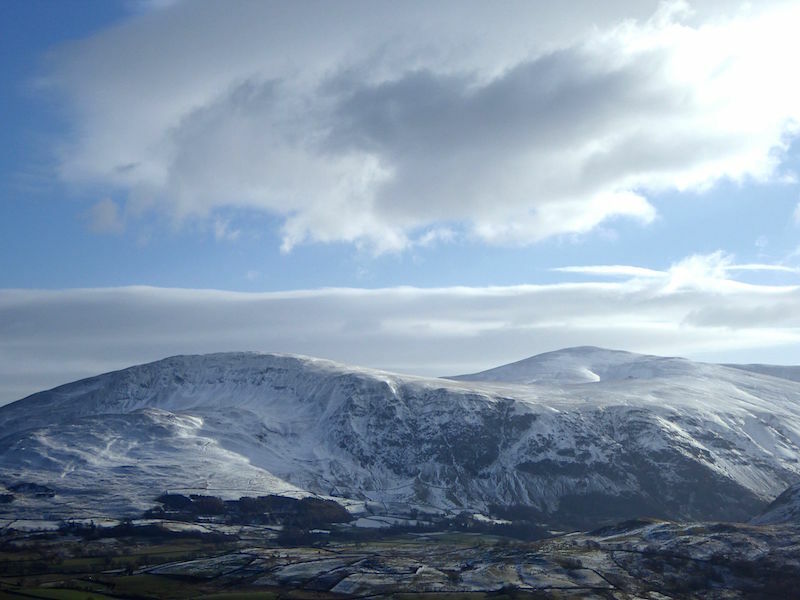 I turned the camera a little further to the right to show more of the fells before us. 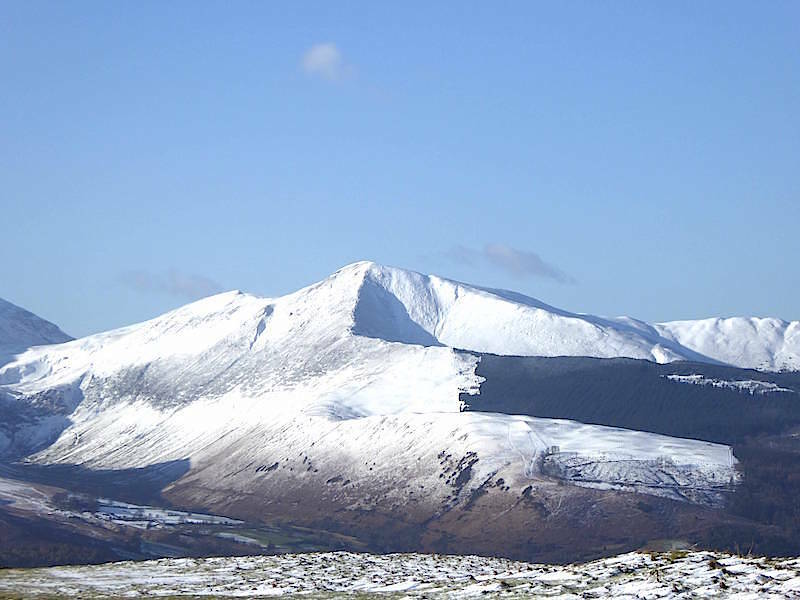 Grisedale Pike was the dominant fell this morning. 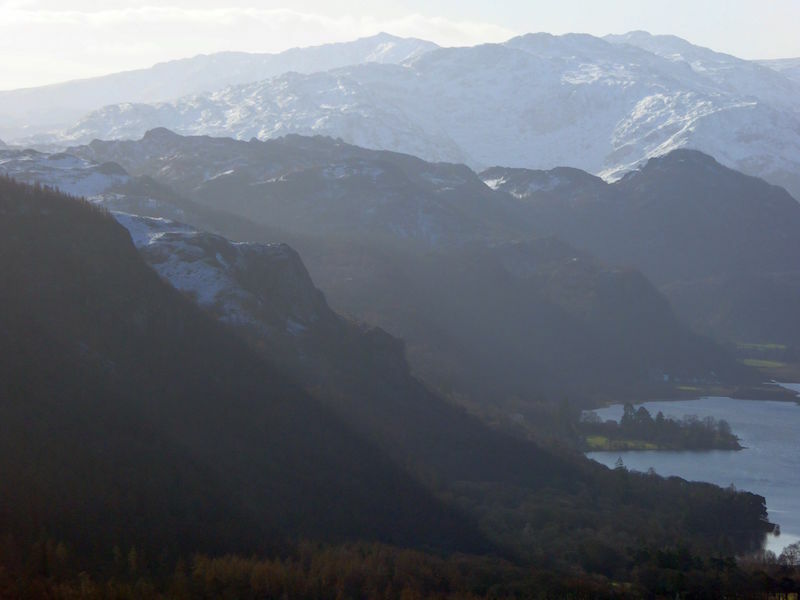 A cloud blocked the sun for a time so I had another go at getting a better shot of the north western fells, although I still wasn’t too happy with the result. 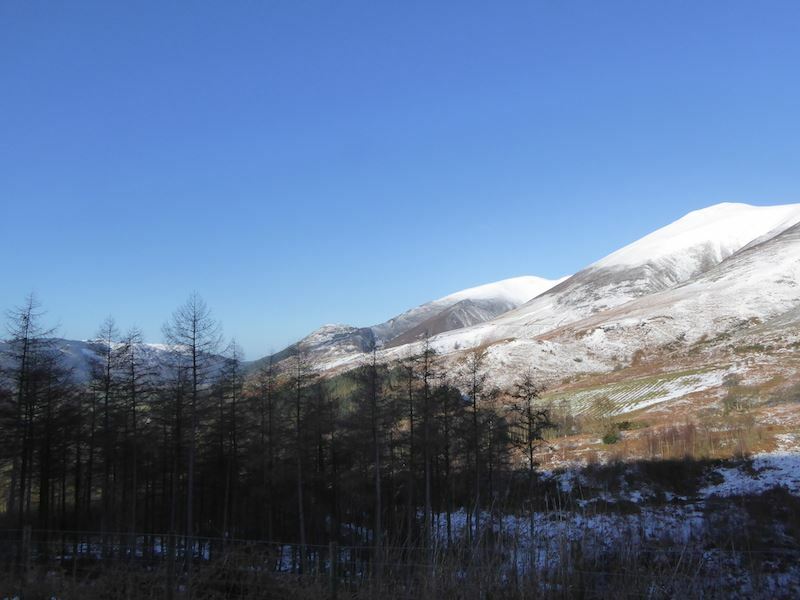 Clough Head and the Dodds. The light was really strong this morning so getting good definition was a bit of a problem today. 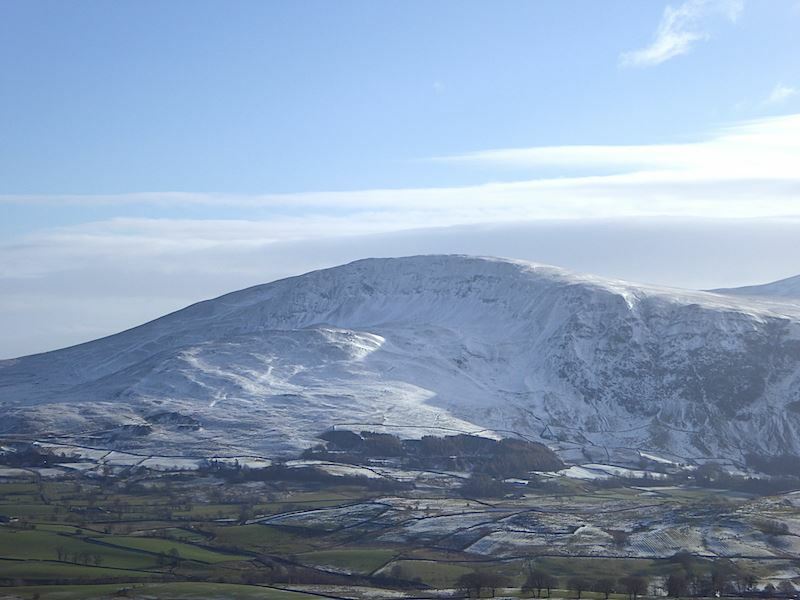 A close up of the Mell Fells. 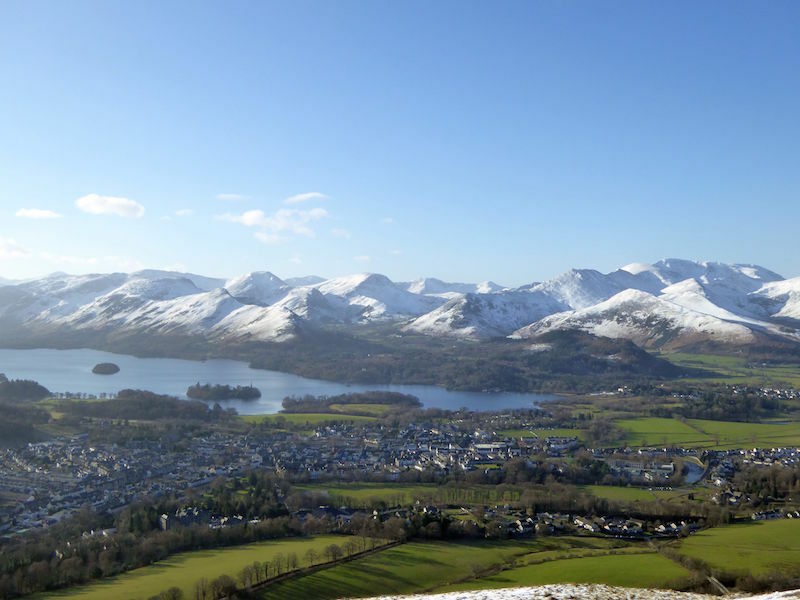 I tried to get a shot of Walla Crag but it didn’t really work. A lovely day but it was still very cold and all those layers were absolutely necesary. 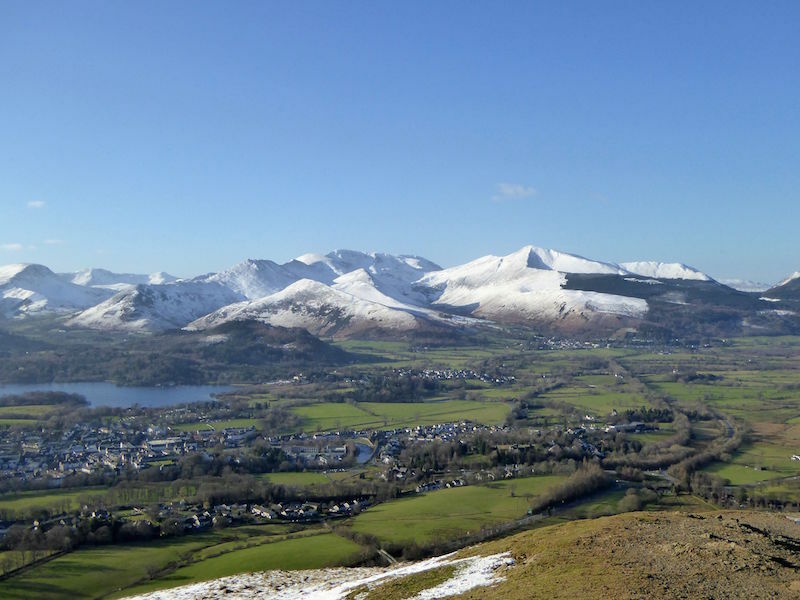 Looking across to Skiddaw from Latrigg summit. 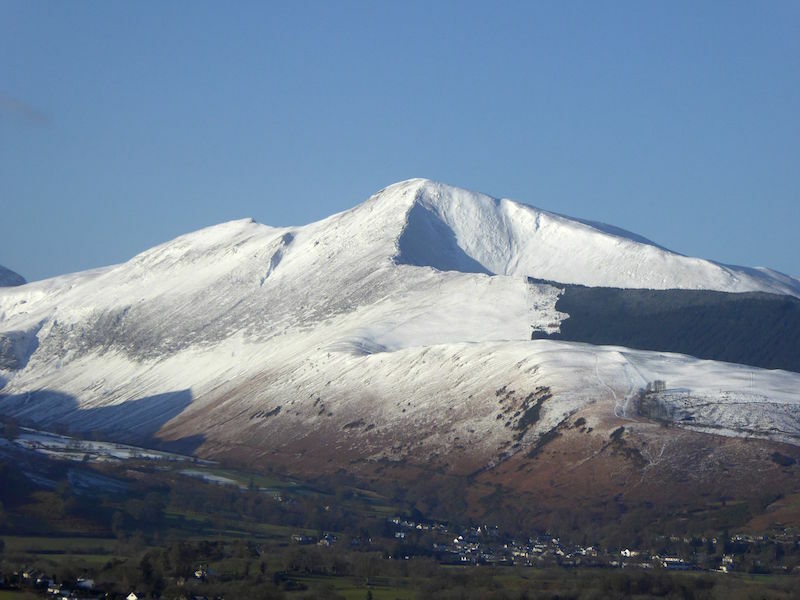 A close up of the majestic Grisedale Pike. Lonscale Fell ahead of us as we start to descend. 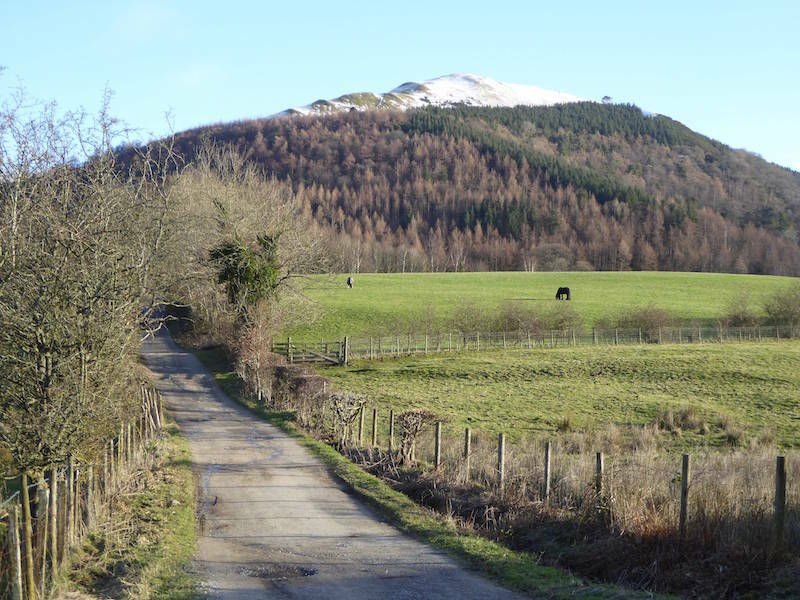 I won’t go into detail but we were full of admiration at the courage, determination and cheerfulness shown by the two walkers in front of us. I’m grumpy but all I’m suffering from are the effects of some stupid bug making me feel like death warmed up, but I will recover from it eventually. The guy on the left has a lifelong and gradually deteriorating condition. 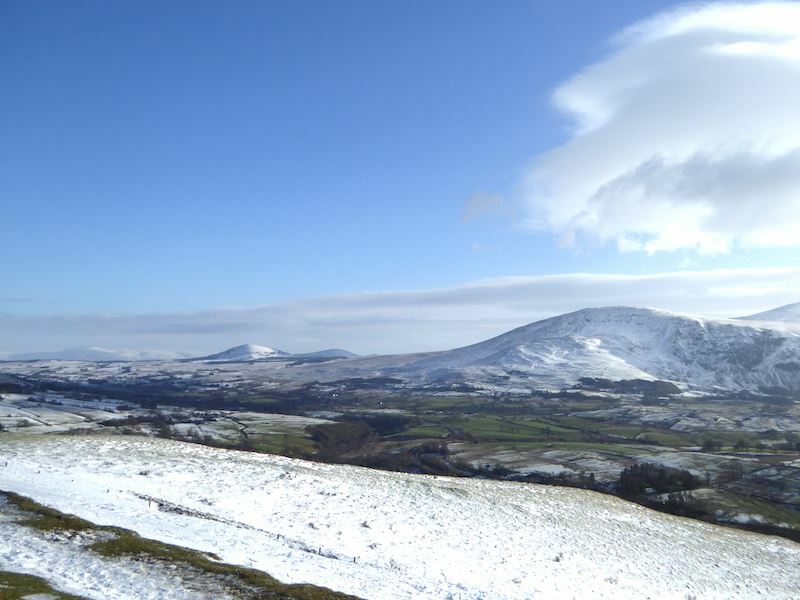 Clough Head and Great Dodd. 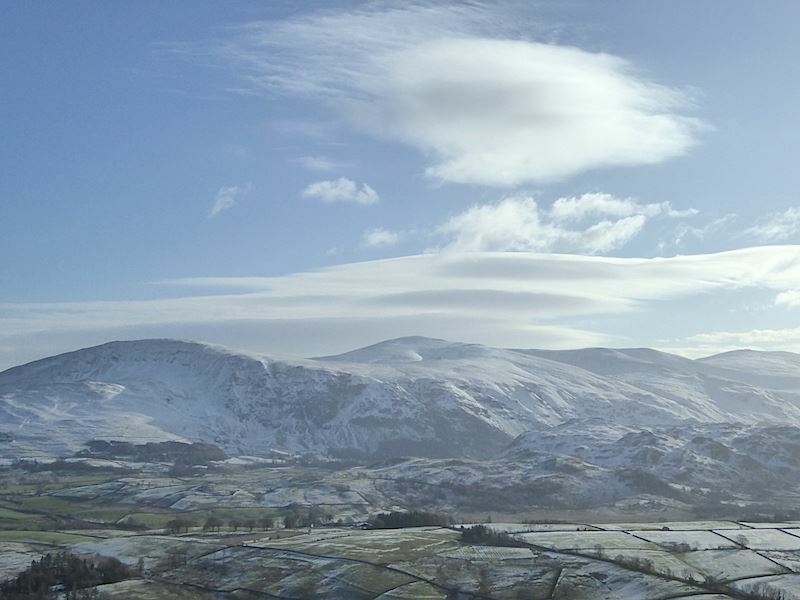 The Mell fells in the distance, with Clough Head over to the right. 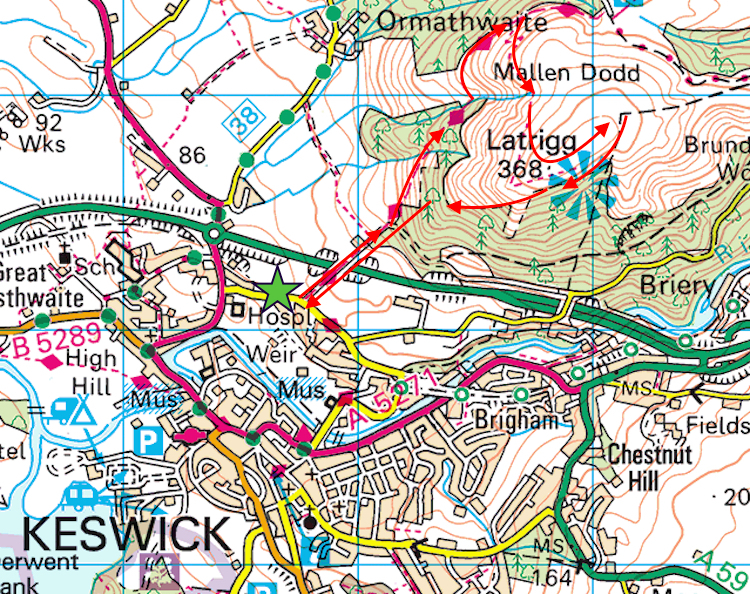 At this point we turned off to go down the forest track to rejoin to the Spooney Green Lane path. 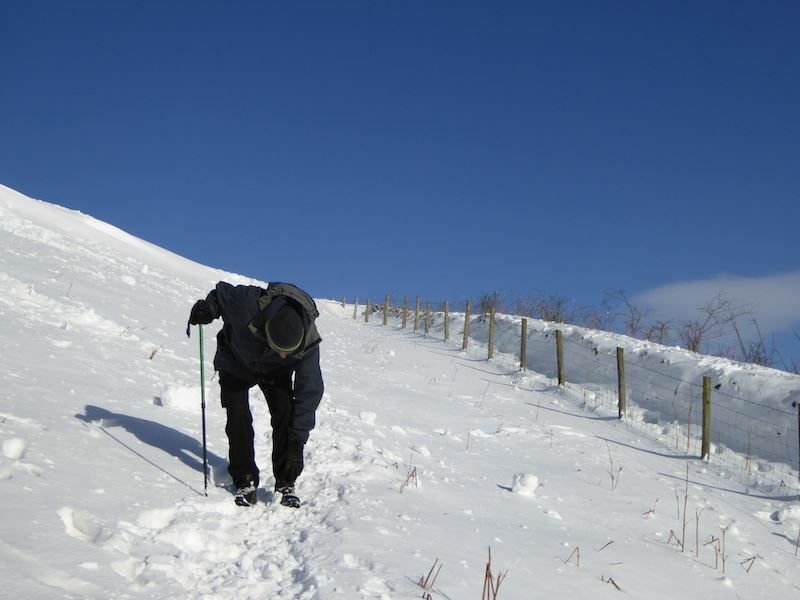 At the turn off the snow had blown into a deep drift which one of us sank into. So when we were clear of it a bit lower down it was time to dust off the snow. The only thing injured was pride. 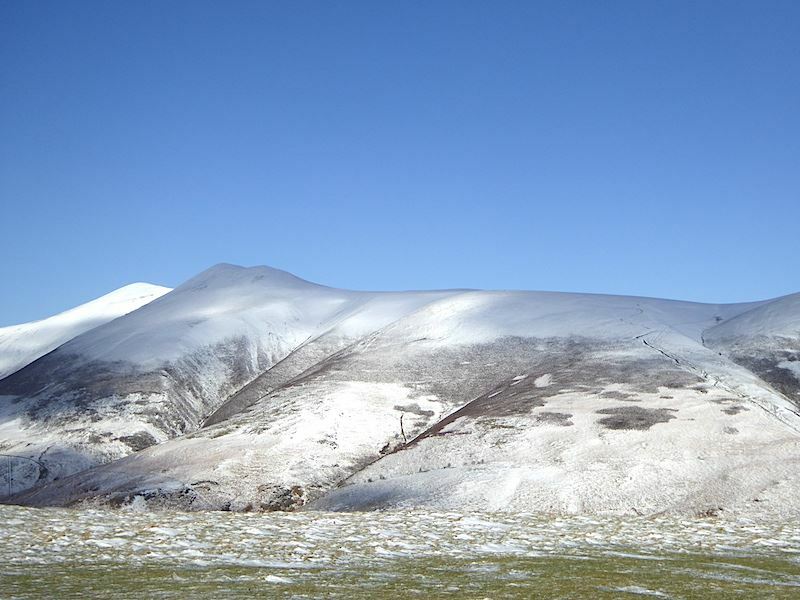 Snow, like sand, just gets everywhere. 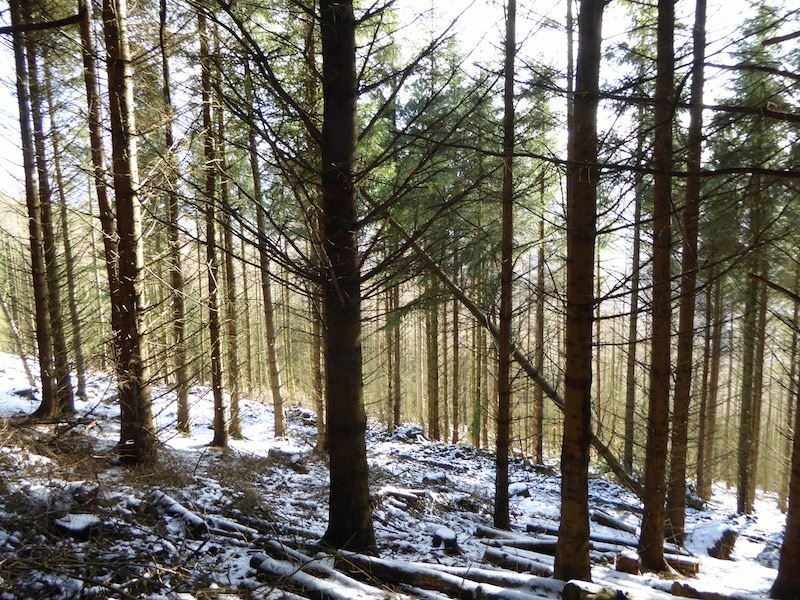 Sunlight through the trees as we descend via the forest path. 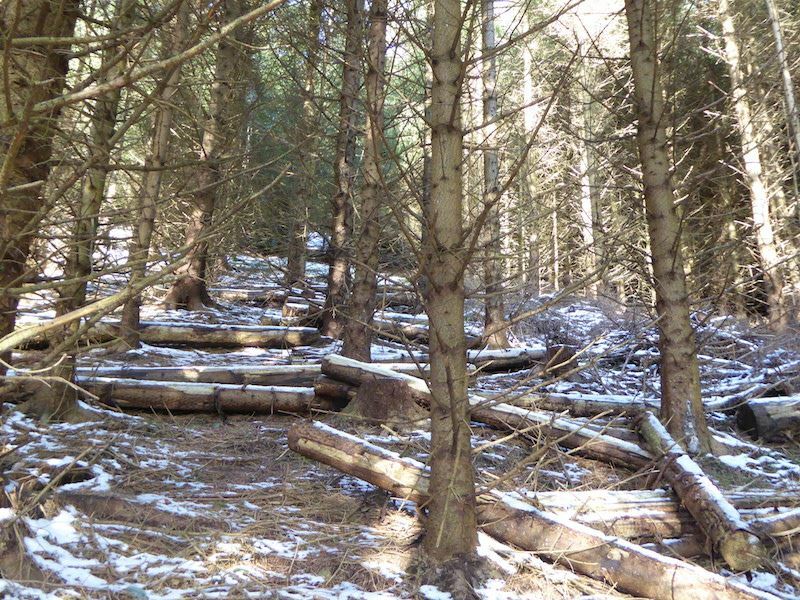 Looking back up the forest path. A lovely, warm sunny walk along the terrace path. 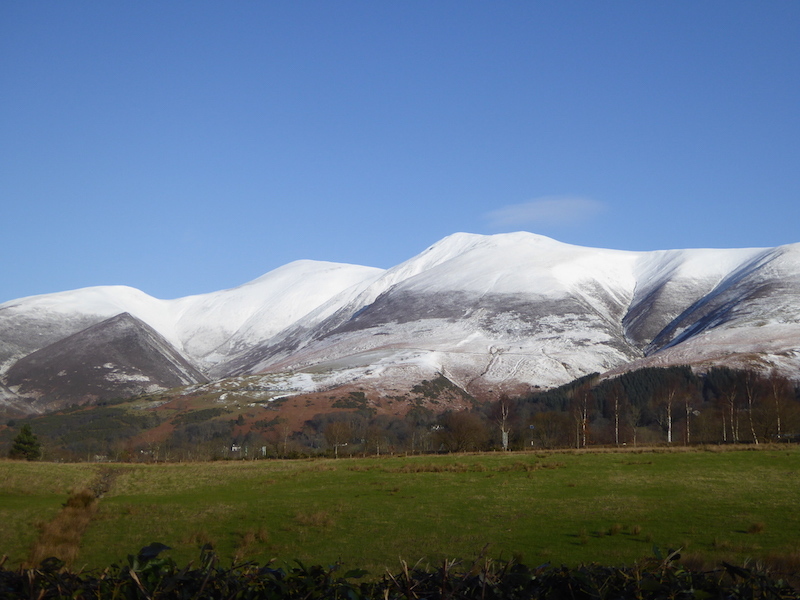 And to finish, one last shot of the north western fells as we head back down to Spooney Green Lane. Now let’s go and attack that flask of coffee which is waiting in the car.